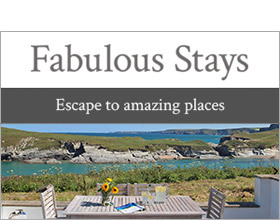 Within easy reach of the vibrant coastal resort of Newquay and the exclusive fishing village of Padstow, Willow Lodge is a beautifully presented, privately owned residence on the Retallack Resort & Spa in the parish of St Columb Major. The North coast is a playground for guests of all ages with endless sweeps of pale sand beaches, pounding Atlantic surf, towering cliff tops and picturesque fishing villages. Families will find no shortage of lifeguard patrolled beaches at Newquay, Rock and Polzeath and endless opportunities for fun, even when the sun is not shining, with The Blue Reef Aquarium, Dairy Land Farm World, Newquay Zoo, Springfields Park and Pony Centre and Crealy Adventure Park all located within a 7 mile drive. Willow Lodge is well placed for a relaxing or active break, with activities as genteel as walking the dramatic coastal path or golfing on the coast at the Trevose Golf and Country Club to the extremes of kite surfing and wave skiing at The Extreme Academy at Watergate Bay. It is also close to Port Isaac, home of the TV series Doc Martin, and big chef name eateries including Rick Stein's restaurants and Jamie Oliver's Fifteen. Nestled at the end of a no-thru road, this smart addition to our portfolio has access to the on-site recreational facilities and as such is perfect for those that wish to experience the real Cornwall as well as enjoying a fantastic range of resort facilities. Guests are welcome to use the swimming pool, bar and health spa onsite, offering a delicious bar menu and pampering treatments. The accommodation is amply proportioned, enough to accommodate two families, with two bedrooms and a bathroom on the ground floor and a master suite incorporating a large sitting room with a double sofa bed and a double bedroom with an en-suite bathroom on the first floor. The accommodation on both levels extends into private balconies with views and garden furniture and there is parking for three cars. Over two floors. Four bedrooms. 1 x ground floor twin with TV. 1 x bunk beds. First floor king size double bedroom with en-suite bathroom with bath, shower over and WC. 1 x single bedroom. Ground floor bathroom with bath, shower over, basin and WC. Ground floor open plan living area with kitchen, dining area and sitting area. First floor sitting room with sofa bed and TV. Shop 3 miles, coast 10 miles.